Planning a wedding within budget will not really turn out to be a tedious task for you if you are willing to invest some time in research. Needless to mention, you will be planning your grand day way ahead. Everyone does so. However, not everyone is aware of the ways in which he/she can save up considerably. Go through the tips in order to be duly aware of the same. The wedding venue can turn out to be a costly affair. However, you can save up a bit by planning your wedding on a day other than a Saturday. Make sure you are zeroing in on a marriage date in accordance. Not many among the soon to be married couples would actually be aware of these little hacks. Make sure you are referring to posts like this one in order to be duly informed. Wedding photography is expensive! Know for a fact! You would definitely want someone to frame your cherished memories forever. Wedding photography, however, is clearly expensive. You can always be a little proactive to ask relatives or friends to chip in with help. Is there anyone in your network who is actually a photographer? If yes, do not hesitate to approach him/her. Or for that matter, you can always get a relatively new photographer on board. Someone who is just starting off his career will not really quote exorbitant fees—no matter how talented he or she is. Are you an artist yourself? If yes, then please ensure that you are printing your wedding cards yourself. Bring the best of your innovative and creative skills to the fore! You can end up saving a lot by resorting to this particular method! Wedding invitation designers can end up charging you a lot. So, you would definitely consider exploring avenues to save up a few bucks there! Yes. Make sure that you are surveying the budget wedding stores instead of the high end ones. Dresses designed at high end stores can end up costing you several thousand dollars more than what these particular stores be costing you. And, you don’t exactly have to worry about your styling at all. These stores are actually adroit in offering dresses which are similar in styles of the ones produced by high end wedding designers. Don’t go overboard with the wedding menu. You are not really required to depend on complicated fare to please your guests. You can arrange heavy appetizers instead of sit-down meals. Please, zero in on a venue which allows the wedding party to bring its own beer, liquor and wine and you’re sorted. 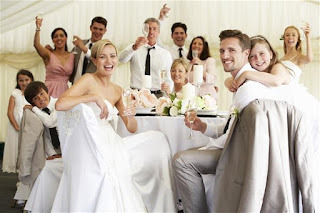 Now, that you are acquainted with the effective ways of conducting a budget wedding in style—marriage does not really seem to be an expensive proposition anymore right? Additionally, you got to know so much about financing a budget wedding without even turning the pages of a complicated finance book discussing equally complex finance topics like Real Estate Nagpur or World Economy!